How good a meal would be without wine? Let's explore this together. ​Meeting with remarkable people is often conducive to try new things, and it was no exceptions when I met fellow food and cocktail blogger extraordinaire Rebecca Sherrow over the Natural Food Expo in Anaheim, California in March 2017. 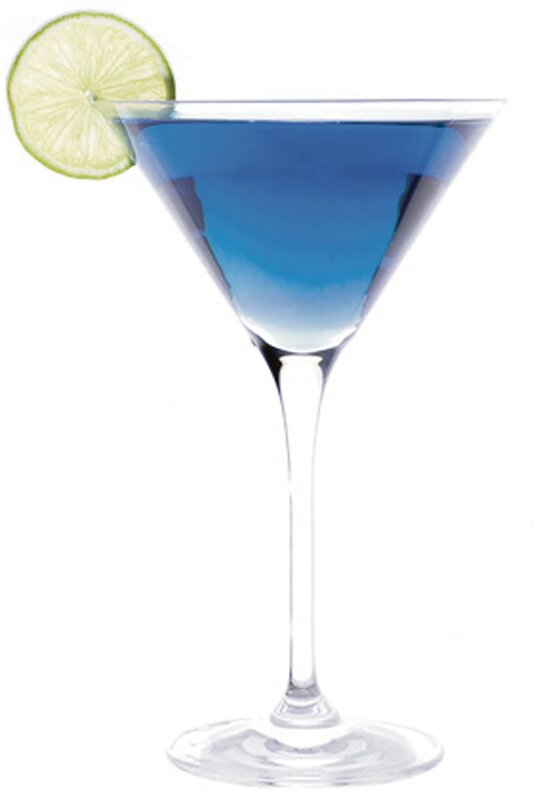 I can't say, my cocktail virginity had regrown completely over the years, as it is a fact that I would rather have another glass of wine than a cocktail, but this is about to change I guess, having tried a few Martinis and a Negroni over the last few months. This vineyard of 14.5 ha is in the family since 1850: 75% Merlot,15% Cabernet Franc and 10% Cabernet Sauvignon. Complex, rich in colour, full bodied, robust, smelling the fruit ripe (strawberry, plum) and the undergrowth, perfect with cheese and meat dishes. The cheeses in the photo are from La Planchette Berbigier. 70 hectares in Entre-Deux-Mers, this AOC Bordeaux is made of Cabernet, Merlot and Cabernet Franc. Aromas of black and red fruit. Well-structured in the mouth with good volume. Very appealing overall. Again around A$25. Great value and perfect with steak frites! 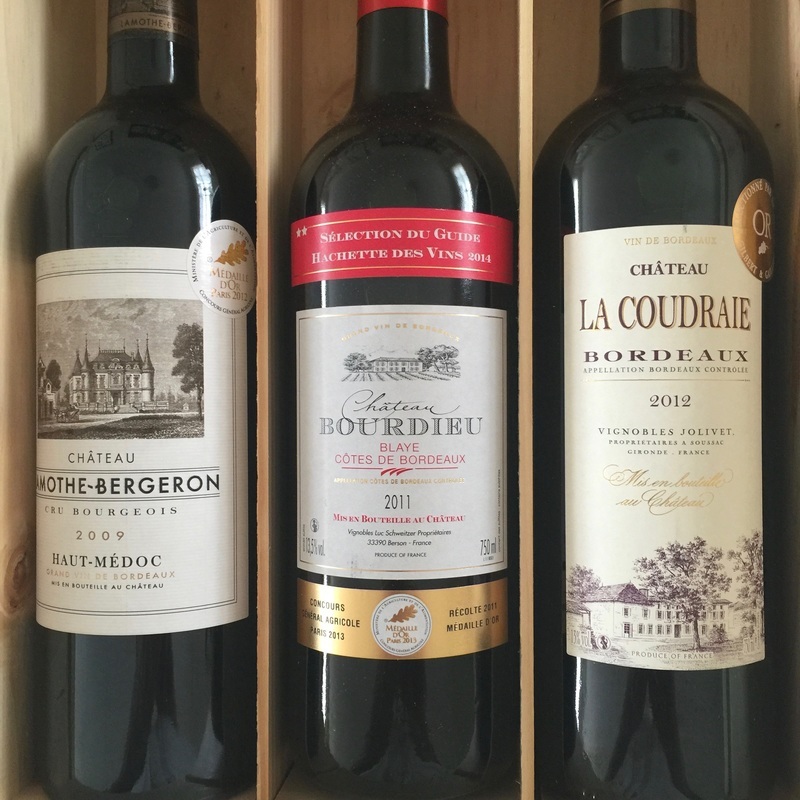 Let's start with ​Chateau Bourdieu 2011, the wine that would required more cellaring as it has not yet developed properly and maybe won't, but it won medals and a selection from the very reputable Guide Hachette. It is the cheapest of the three at less than A$10 if bought individually. Made of Merlot, then Cabernet and Cabernet Franc in smaller percentage. Let's move up to the Chateau La Coudraie 2012, another AOC Bordeaux, but this one i very drinkable now. It doesn't pretend to be anything special, but it does the job for less than A$20. Finally Chateau Lamothe-Bergeron,2009, a Haut-Médoc, one of my favourite region in Bordeaux, besides the almost unreachable Saint-Julien. 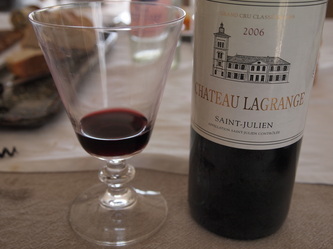 Dark in color, this is a concentrated wine that’s very rm in structure, with dense tannins. 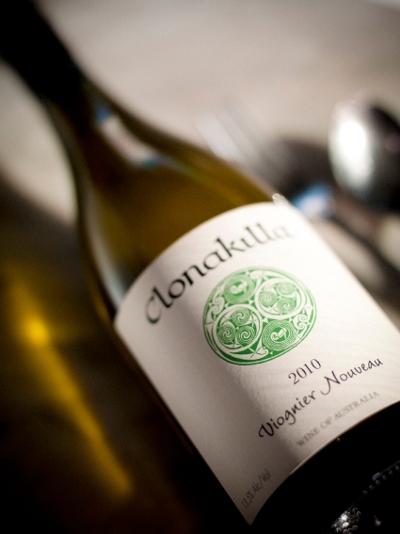 It’s powered by ripe, mature black fruits as well as acids that cut through the dry texture. It will age beautifully for a few more years. It was definitely the best of the box and would fetch around A$25 on its own. One of our regular drop, this very reasonably priced at A$21 and perfectly satisfying Northern Côtes-du-Rhône, i-e primarily Syrah. Although I tend to prefer the wines from Southern CDR, i-e GSMs ( our current sélection includes the Saint-Cosmes, this is an affordable version of the varietal. I defy you to find an Aussie Shiraz at that price(if it exists...) which would taste as good! 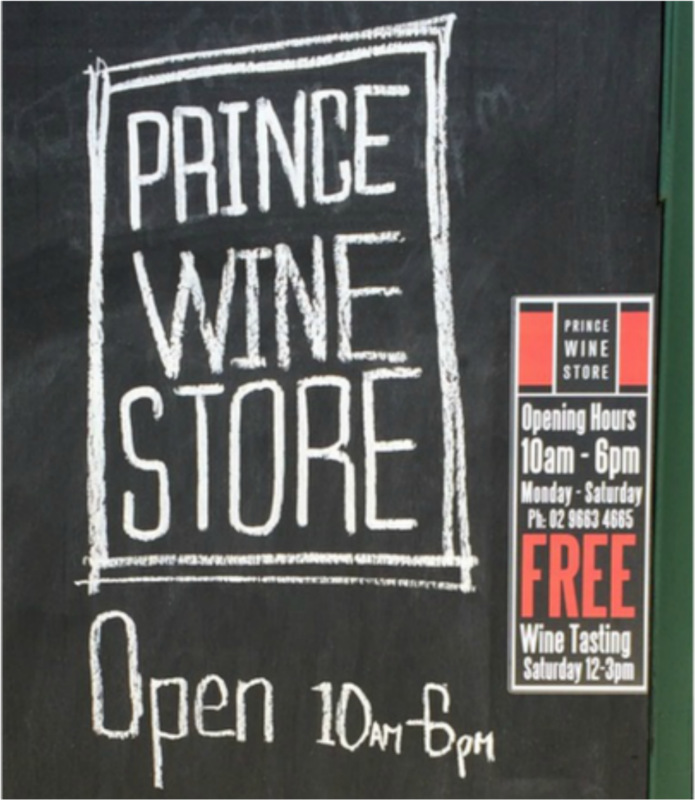 The recent opening of a Harris Farm Market in our neighbouring suburb of Drummoyne with its integrated bottle shop (and the amazing pizza from Salt Meat Cheese...) has brought us an great selection of wines we know and enjoy and some new ones that are very interesting. I first discovered the Mont-Redon chez Maitre Karl, my canteen when I was working full time in Willoughby on the North Shore of Sydney. Ay A$18, this is a typical GSM and an everyday kind of wine. It is basically a Chateauneuf du Pape on the wrong side of the appellation. Give it a try, you won't regret it! The original cool climate Chardonnay,the name Chablis originates from two Celtic words: “cab” (house) and “leya” (near to the woods). Remnants from a Neolithic village, and later structures dating back to the Gauls show that humans lived in the area for centuries. Romans brought vines to Chablis between the 1st – 3rd Century, establishing vine growing and wine production before Cistercian Monks arrived in the 12th Century. We have been drinking Chardonnay from Domaine Laroche forever, so it was a big departure from tradition to try, not one, but two new Chablis! This one by Jean-Paul & Benoît Droin is floral, fruity, soft and rich in body. Grenouille means frog in French, referring to the closeness of this Grand Cru to the River Serein. This will set you back a cool A$70, so keep it for a special occasion! We are very fond of Veuve Clicquot and Moët & Chandon, but this year we bought some Mumm for a change. I like its dryness! In order to track our wine adventures better, you will find below links to articles on our main page which are related to wine and wine tasting. We will put new links here each time an article is published. Here are some of the existing articles as of June 2015. Written by Antonio Campos, Management Director at Vintor, Vinos y Distribución S.L.U. Agronomist engineer, Master in Enology & Viticulture, M.B.A. in Wine Companies Direction, partner of Spanish Tasting Group (U.E.C. Unión Española de Catadores), Baco´s Prize Judge. Candidate MW student. First of all, it´s my first time at this Fair. I Love France! Thank you very much to Our French Impressions - an e-zine featuring all things French around the World and written by Jean-Marie Liere - for the opportunity to write this article. I thought it would be useful to go to Vinisud as good training for my next exams to access the Institute of Masters of Wine (www.mastersofwine.org ). Also, before , I saw in Vinisud 2014 web site that many Master Classes were very interesting too, specially one run by Paolo Basso, Master Sommelier (MS) World Star. 2013 Winner Sommelier´s World Championship. Pagos de Ayles (P.A. ), a Spanish Cellar of the North East of Spain (Vino de Pago, the top level in Spain for Quality Wines) kindly gaves me an invitation for the whole Fair. Thank you very much to Jorge Navascues, Pagos de Ayles´s Technical Director, and partner in only one of my monthly Saturday Blind Tastings because of Jorge lives so far from Madrid. We began with some White average Wines ready to drink and for daily consumption. The Star of the tasting was “a” of Ayles 2013, a very good Quality/Price wine. the last time i have tasted this Wine was in 2010 when they won “Gran Bacchus de Oro” (O.I.V. , U.E.C. 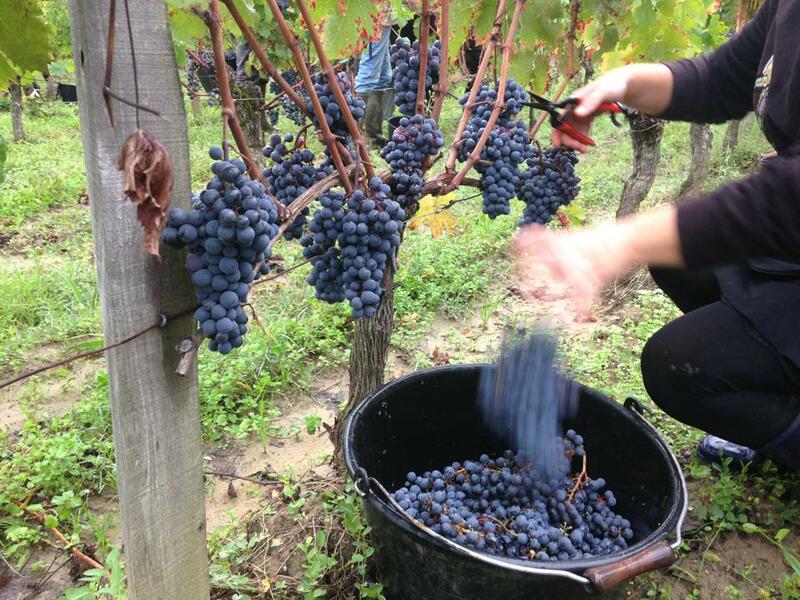 Prize) and the quality of the 2013 vintage is similar. What I really wanted to taste was their “y” of Ayles but they told me that I will taste it at Paolo Basso´s Master Class. So I went on to meet Paolo Basso MS.
“Discovering Mediterranean Wines” Master Class directed by Paolo Basso MS.
Paolo was very dynamic and his tasting notes were very illustrative and focused. Sommeliers, I think, taste thinking about the quality/price ratio, rather than an absolute value. In appearance a bright and depth colour, wonderful and complex nose and in the palate, a fresh attach, perfect body, high and elegant acidity, excellent quality and perfect quantity of residual sugar. Its final retro very beautiful with a high length persistance. Second was from Croatia, Stina Vino, Plavac Mali Majstor 2009, a surprise for me with Central European wines, unknown variety but a very good bodied wine. In appearance a special dark colour, the nose very similar to Nebbiolo Wines. Fourth in my opinion would be the Rhone Valley Domaine de la Mordorée, Lirac Cuvée “La Reine des Bois”millésime 2012, a wine ready to drink with all the attributes now. Fifth would be Pago de Ayles “Y” of Ayles, Garnacha, Tempranillo, Merlot & Cabernet Sauvignon 2011 from Spain, a wine with all the quality for a very interesting price. Paolo said that this is a “Wine of Pago” similar in terms of quality to a French “Grand Cru” because of a similar terroir plus a very experienced team at the Cellar. in Sixth position, I would put Bodega Luzdivina Amigo, Leira 2007 Mencia R from Spain, good price and high quality for a difficult Mencia Reserve. Difficult because the Spanish variety Mencía is very difficult to manage for ageing. 11th Lebanon, El Ixsir Rouge 2010, average wines, no more. I appreciate the effort from the Lebanon Wineries, but at this stage they are out of the quality market, I think. In 2010 I thought the same at Bordeaux Primeurs, Lebanon Wines were there also. Note that the Selectioned Wines were very well chosen and presented. The interest for the Tasting was high from the beginning to the end. Impressive direction by Paolo Basso MS. Easy & Deep. Asti D.O.C.G. Zona D´Origine offered to their attendees (full room as well Paolo´s) a very interesting and instructive Lecture & Clear Tasting. Azienda Agrícola Il Gottino di Dabbene Felice, Moscato Spumante Metodo Classico 2009. Azienda Agrícola Terrabianca Moscato of Asti Vignot 2013 D.O.C.G. Very floral or near flowery. Rose petals in nose. Poderi Roccanera Moscato of Asti D.O.C.G. Moscato Piemonte Passito 2010 D.O.C. Azienda Vitivinicola Tenuta Langasco Moscato of Asti D.O.C.G. Good bubbles in appearance. High expression nose. Elegant. Azienda Agrícola Bellati María Carla, Moscato d´Asti Biologico D.O.C.G. Pale yellow but with much colour than the previous. Pretty flowery nose, grape. Azienda Agrícola Ferrero Federico Moscato of Asti D.O.C.G. Pale yellow colour in appearance. More Quality than a normal Moscato because of a good nose. Palate balanced, good sweetness, but bubbles disappear quickly, before it, soft and cremous bubbles. Vallebelbo S.C.A. 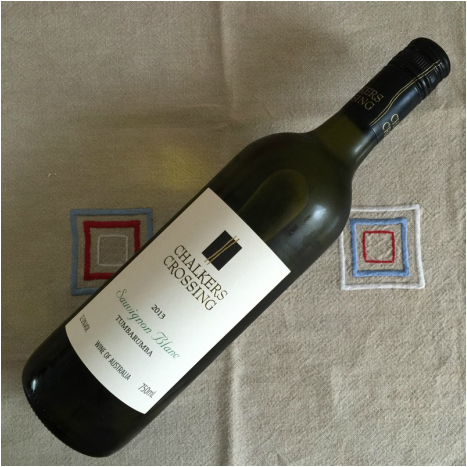 Moscato Piemonte Passito D.O.C. A few words only, because of it is a wine without the previous quality. Only for easy drinking. Appearance, clear yellow. Zero Nose. bOnly good acidity in the palate. By the end of the day, I would have tasted over 50 Wines! At Vinisud 2014 like at the Spanish Fair “ Gourmet” (Madrid), the organization presented all the tablev wines for a quick Taste. A good idea I think for students and journalists, common public and so on. 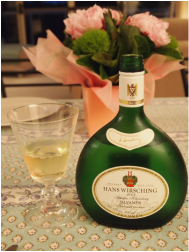 I tasted Marsannes, Roussannes, Champagnes of varied assemblages but vinified in White Wine. Nothing premium. Average Wines. Rueda´s Verdejo from Spain, Cotes de Provence from France, AOC Provence with Grenache, Cinsault & Carignan. Finishing up with some Chateaunauf du Pape, The King of French Grenache. I´m In love with this wine. I never tasted a Wine from this Appellation that I didn't like! I´m in love with Grenache all over the World, specially and foremost the French ones. Second, my country´s Grenache Wines, Spain. Specially Northern East of Spain ones. Like Pago de Ayles, mentioned before. The Master Class began with an explanation telling us about the Terroir and Vineyards. Research in colour material, comparing Countries and other Rosé regions with Vins de Provence. Research in neutralized alcohol excess, acidity control, colour intensity and diversity, social analisys of their consumers and potentials….Marvelous!! 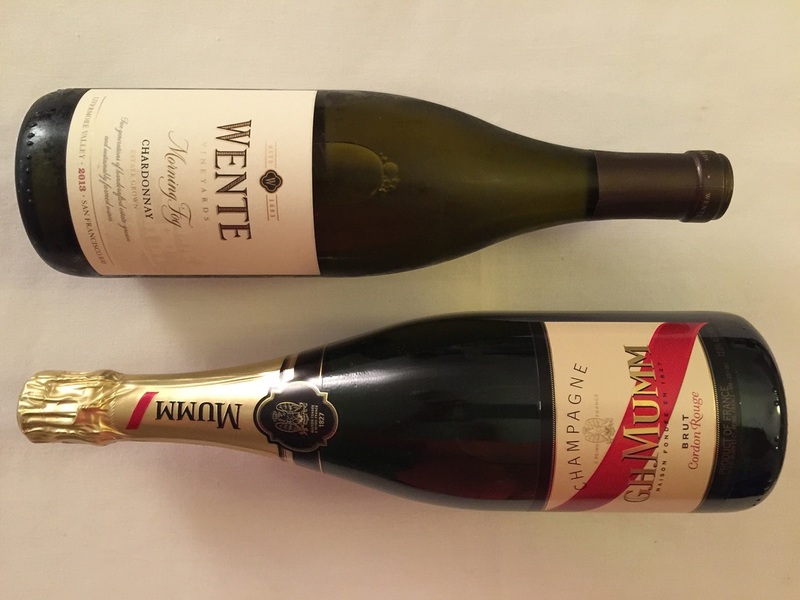 And to David Giménez Vinnico Zone Manager, who was my partner in this tasting and commented with me on each Wine, each price and some interesting things and curiosities as well as technical data. Export to several countries in Europe, very fresh and average White wine, very cheap, spectacular and pretty to Give Bag in Box, must see! Fresh easy to drink white wine. Pasas , D.O Jumilla 2013, average wine. Gran Pasas D.O Jumilla 2011, 1st Quality Wine with a very good Price. Aventino Roble, Ribera del Duero 2013, very interesting value wine. And with this tasting finished, I left the Fair to go to Sant Joan Despí (Barcelone, Spain) for a Mock Blind and WorkShop Tasting at the Stunning Shop with its Wine Lover Director David González) Shop named “Vinoscopio” www.vinoscopio.com. An ex-U.E.C. mate from Madrid, Spain, that currently lives now in Barcelone (Santiago Fernández), (www.vinoexpresion.com) kindly invites me to participate). It is a must see shop near Barcelone! The tasting included 16 white and red Spanish Wines, from Galicia, Albariños of D.O.Rias Baixas, the new Ribeiros, from Aragon Enate….and more! Certainly an interesting trip from Madrid to Montpellier and Barcelona. 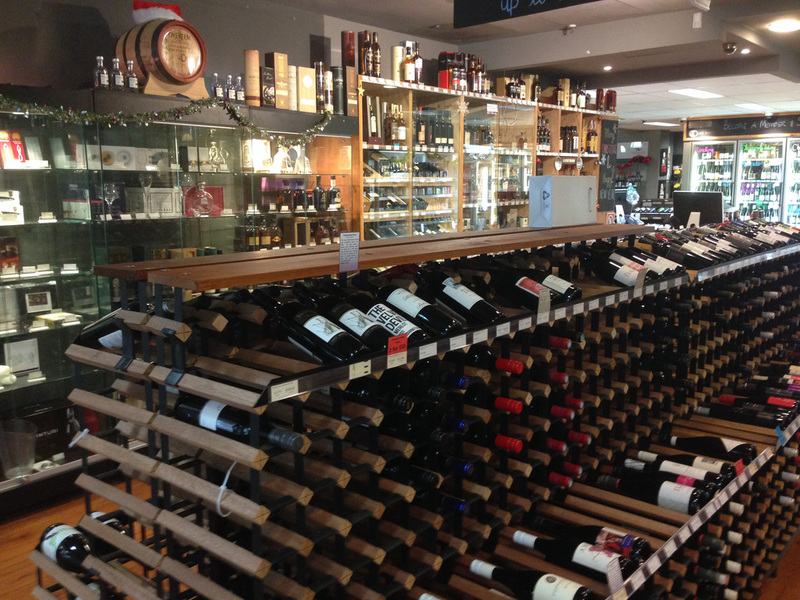 It is a very sad time, as Ultimo Wine Centre was sold to the "Corporation", i-e Vintage Cellars in April 2013 and have just ceased trading at this location on June 14th, 2015, just a week ago. 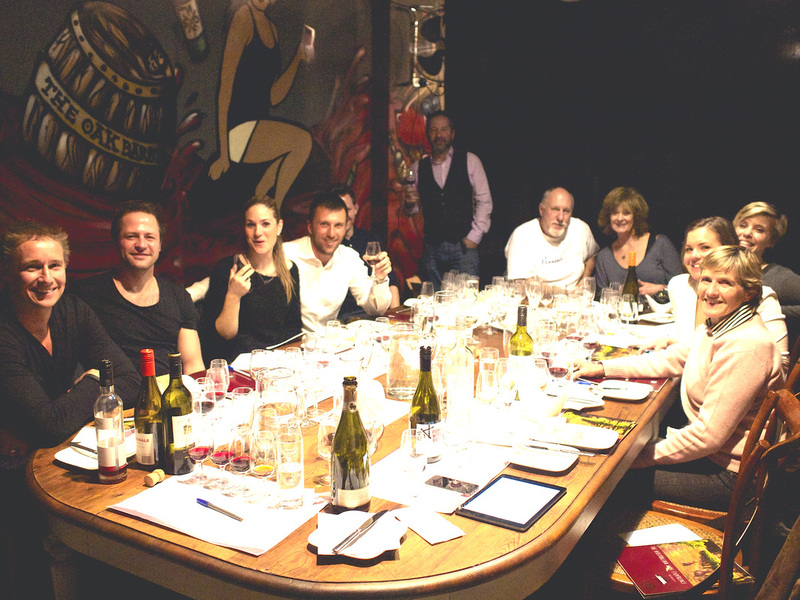 The remaining stoock has been moved to Vintage Cellars Double Bay - nicknamed Double Pay... - and hopefully this will become a new destination for the Australian lovers of French, Italian and USA wine lovers. 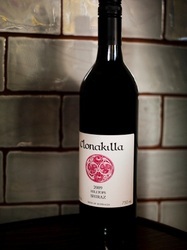 Stay tuned for more info on where to buy great imported wines in Sydney. 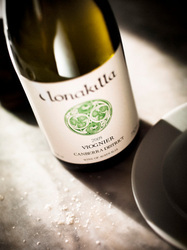 One of our favourite Chardonay when living in France, it is almost unknown, and very difficult to find here in Australia. So given the chance, we jumped at it, and were not disapointed! It is quite a good example of an every day Chardonnay, and a very good match with the several avatars of seafood served at the start of the Sepia degustation menu. This particular wine is coming from a vineyard biodynamically managed and has a very clean taste. It is no Meursault or Montrachet, but well worth the money! I had a couple of glasses of this beautiful wine to accompany the meaty part of the degustation menu, and what a great counterpoint to the fabulous "Roasted pasture fed Angus beef tenderloin, marinated in Hatcho miso, braised short rib, smoked daikon radish, yuzu jellies, oxtail consomme", my favourite and even with the less successful "Cocoa and sansho seared Mandagery Creek venison, baby beetroots, rhubarb, chocolate, beetroot and boudin noir crumb". Let me quote Berry Bros & Rudd here: There really can't be a better value wine than this in the whole of Bordeaux. It shows the sleek, generous, polished character that all the wines from the Cazes stable seem to share in 2006. A pure, intense nose is followed by fresh, concentrated, black cedary fruit and toasty coffee hints, all in a lovelymodern package. Made from 50% Merlot, 40% Cabernet Sauvignon and 10% Cabernet Franc, and agedin 20% new oak barrels, this really is a belter at the price. 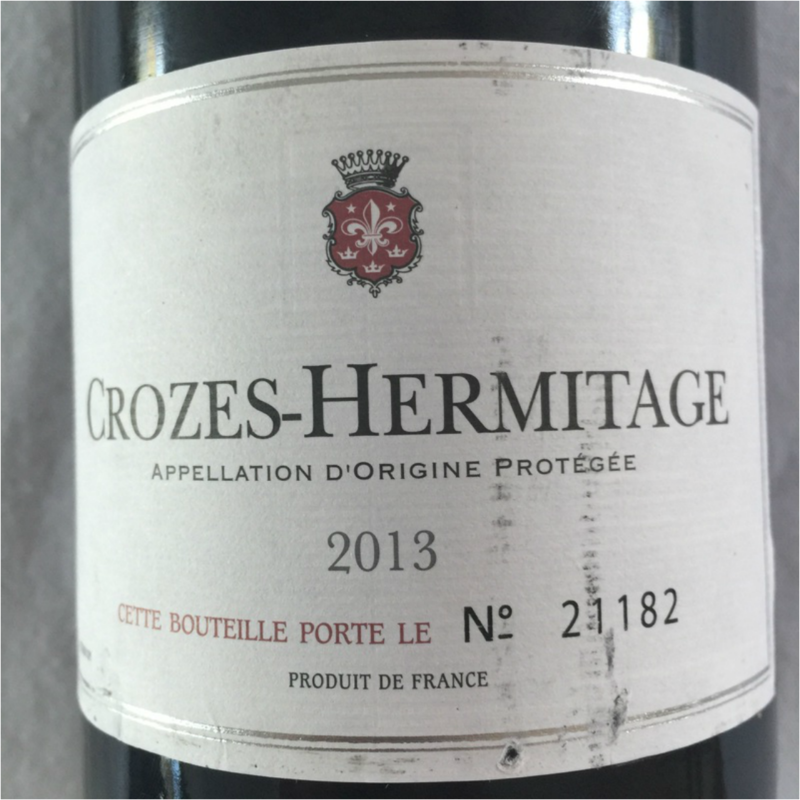 Three Cotes-du-Rhone competing for "our favourite"? 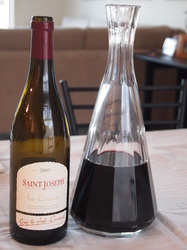 Are we going to move away from our Vidal-Fleury to either the Saint-Cosmes 2009 or the Clos Petite Bellane 2007? 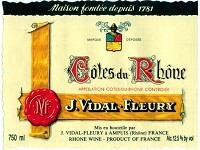 So, in theory, the Vidal-Fleury is more complex and has the most Grenache, which gives the wine its smoothness. 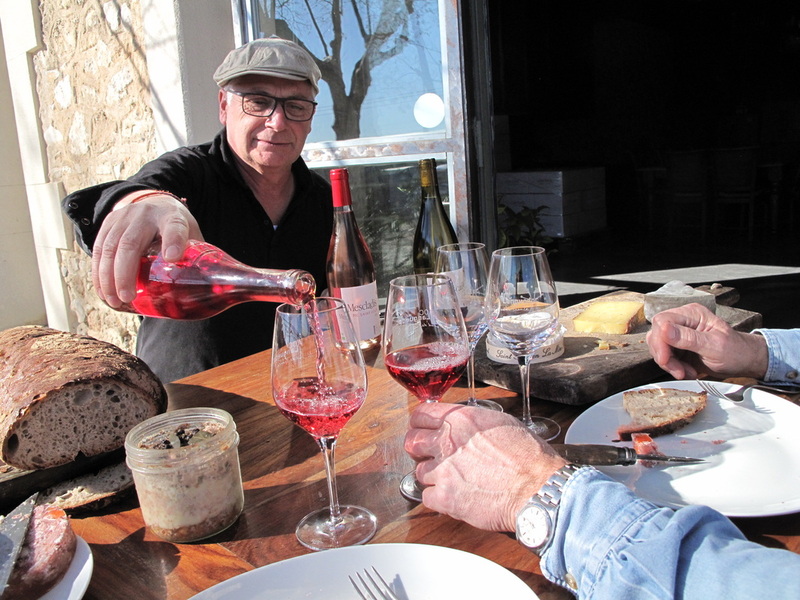 The Saint Comes is on the Gigondas appelation and the vineyard actually makes primarily excellent Gigondas and have done so since 1570! The Clos Petite Bellane is on the Valreas appellation, not bad either, but usually a notch under Gigondas in fame. We have talked about Mont-Redon and the biodynamic Les Genestas elsewhere. All are in the same price bracket (between 17$ to 25$). So far, I prefer the Clos Petite Bellane and I have ran out of stock already...a sure sign. But this is only my humble opinion and these wines are made with love, passion and expertise, and it shows, or should I say, it tastes! And as some advertising agency said for beer, if you can't find these wines at your local bottle shop, then move!!! 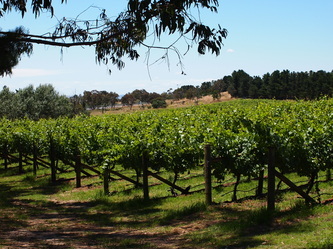 This winery is located near Lake George in Bungendore, a small village less than 40 kms away from Canberra. It used to be the terminal station of the railway coming from Sydney via Gouldburn. I am a big fan of their Pinot Noir 2005 and the most recent Chardonnay 2008 that one could easily mistake for a Meursault. 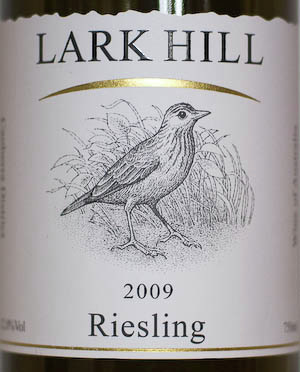 They also make a highly regarded Riesling that I have yet to taste. Peter is certainly the godfather of the wine industry in Australia, and more specifically from the Barossa Valley in South Australia. A friend recently brought us a bottle of their "Mentor" range, a Cabernet Sauvignon 2005. Very "Bordeauxesque" and quite layered. 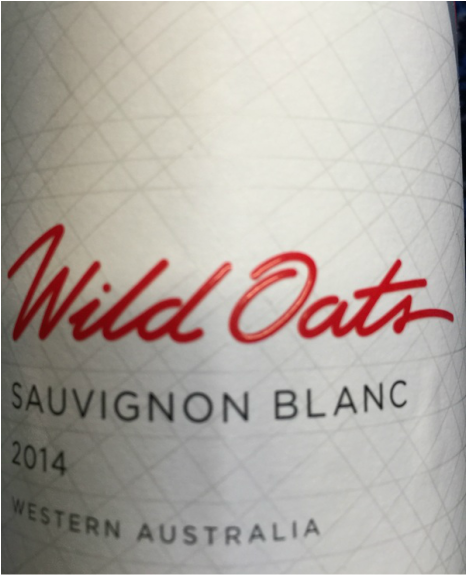 chocolate & vanilla, and shows a superb integration of oak and fruit." At around 40$ a bottle, it is quite good value as well. 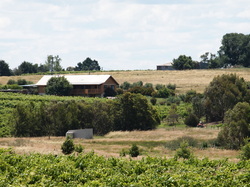 Yass Valley Wines is situated at Murrumbateman, 20 km from Yass and 40 km from Canberra, just 3 km off the Barton Highway which is the main western road from Canberra. 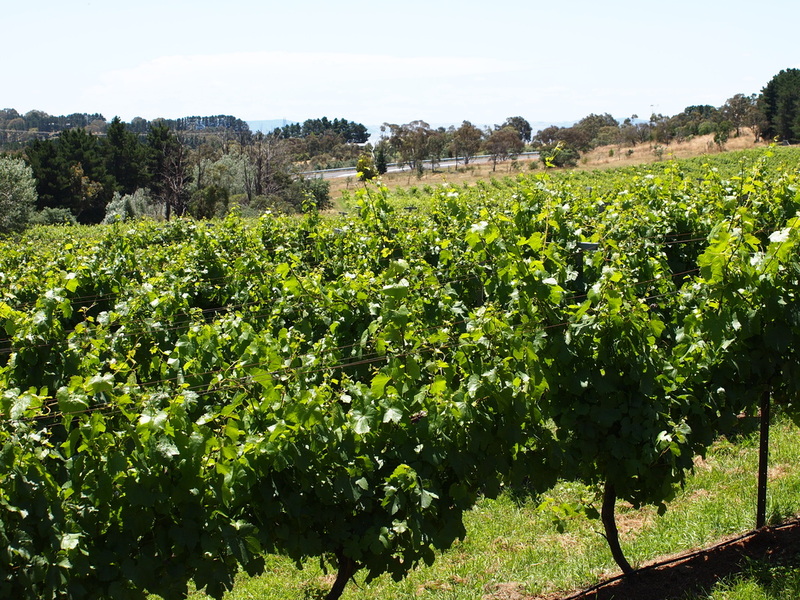 The varieties in the vineyard are Traminer, Chardonnay, Riesling, Semillon, Barbera, Shiraz, Merlot and Verdelho, and all on 3ha of land! The Crisp Lane Cafe is beautifully situated overlooking both the Yass Valley Wines vineyard and the pastures and vines of their neighbours in the valley. From the northfacing verandah or the full length windows in the Cafe, guests enjoy both country hospitality and the delightful country views. 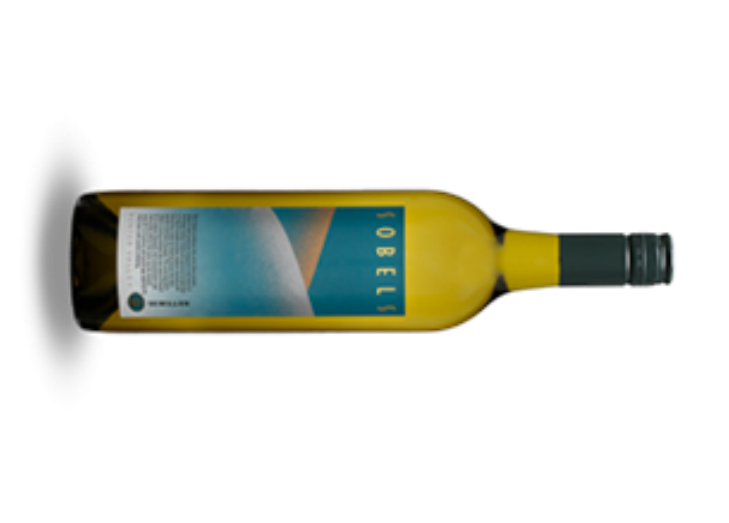 We had the Verdelho to accompany a tasty tuna steak sandwich and a gorgeous quiche. It was almost as being back in Portugal! but it fails in my view to compete primarily because of the very high price (75 to 90$ a bottle of Shiraz...) and also by trying to do wines like a Voignier Nouveau! 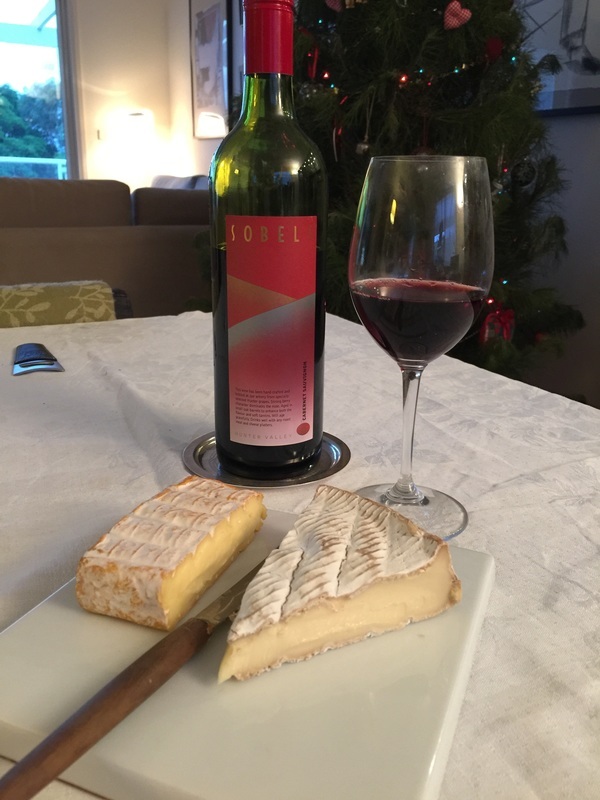 Well, we already know that Beaujolais Nouveau is NOT really good, so why try with a grape that is usually a supporting grape to another more robust grape like Sirah or Grenache? 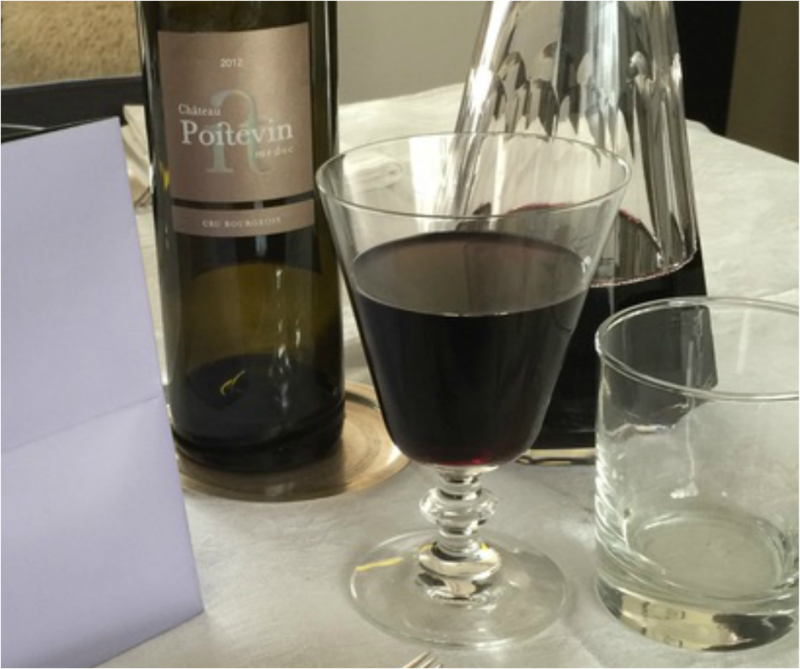 The Voignier "tout court" at 45$ a bottle is just not worth it. 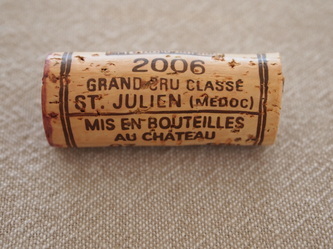 St Julien is a tiny appelation from the Bordeaux region of Medoc, home of the 1855 classification. While St. Julien has no first growths, it is home to five second growths: the three Léovilles (Las Cases, Poyferré, and Barton) as well as Gruaud-Larose and Ducru-Beaucaillou - my personal favourite. 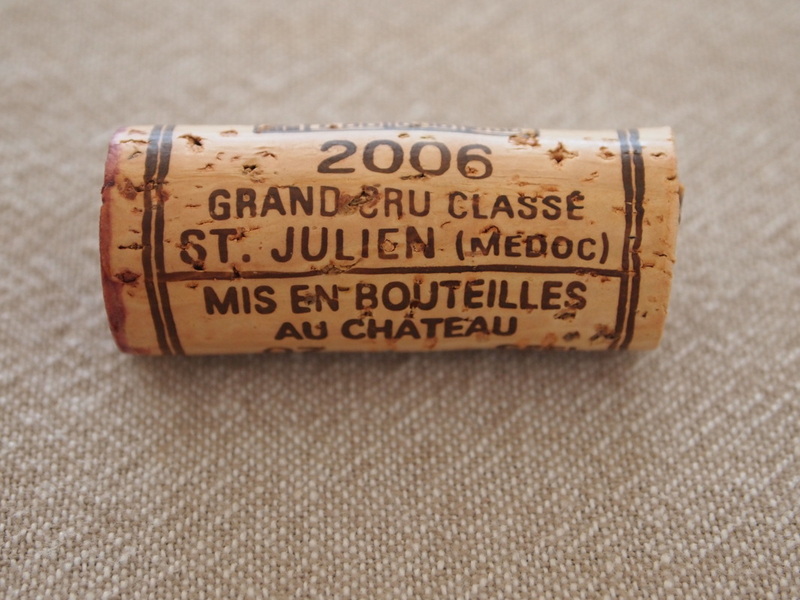 St Julien is home to (only...) 48 Chateaux! and I recently found at the NGA bookshop in Canberra a book on these wineries called" Bordeaux Chateaux, a history of the Grands Crus Classes since 1855" published by Flammarion and written by Frank Ferraud, with photographs by Christian Sarramon, a must read for all Bordeaux wines enthusiasts. Although 2006 is not an exceptional vintage (2005 was named the "vintage of the century"...), both wines are exceptionally good and show the typical qualities of a blend of Cabernet Sauvignon and Cabernet Franc, rich, fruity, complex with rich blackberry core and supple feel. 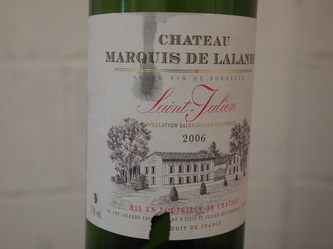 The Marquis de Lalande was a notch better than the Lagrange, but either can be recommended to accompany meat dishes like coq au vin and daube or roast pork. But, don't be! This was a gift of Maitre Karl who I had the pleasure to host at my table recently with his lovely wife Paivi, after he sold his restaurant (now High Street Bistro, more on this later...) and regained possession of his Saturday nights after five and a half years of very hard work. This is a very good example of a modern German Silvaner, quite dry, crisp, layered, herbaceous but still fruity with hints of pear, citrus. It was a perfect companion for the scallops we had as an entree. A nice discovery. Thanks, Karl! About to prepare a rather unusual recipe of scallops by Jean-Pierre Crouzil, the Chef of L'Ecrin a Michelin rated restaurant in Plancouet in Northern Brittany, who is heralded as being the King of the Scallop and seafood more generally. On two recent occasions, I had the pleasure and privilege to taste two different Pinots, one from Burgundy and one from...New Zealand. 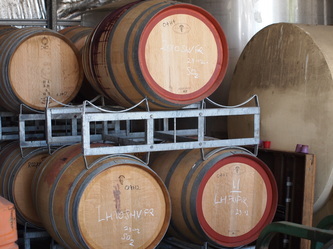 Ultimo Wine Centre bought a barrel at auction in November, and this is the result. At last count 186 bottles left. Just run and buy some. At A$79.95, it is a bargain. We drank it for Mother's Day Dinner. see menu and recipe here. A blend of Pinot Noir from The Steppes and The Canyon Vineyards. Deep, concentrated dark cherry fruits integrated with fine ripe tannins. An exciting new producer with two $50 reserve wines as well as this excellent estate blend. Foresty, earthy, black-fruit complexities and a savoury, burgundy-like palate with power and structure. Classy flavour and good concentration, with less oak than the reserve wines. Now to five years. Huon Hooke has also put this wine in his newly published list of the 50 best wines for 2010. Definitely up there with the French! and for Valentine Day in 2010, Chateau Carbonnieux 2005 White. 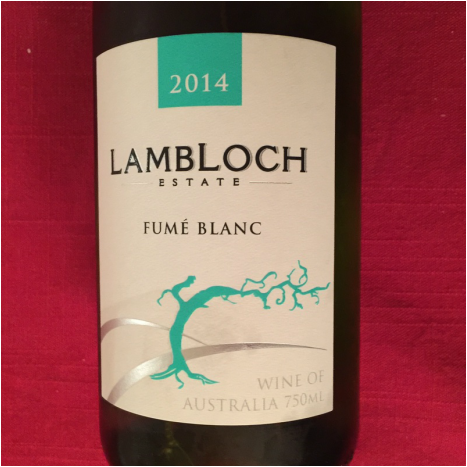 This is a very good example of a Sauvignon Semillon blend (60%-40%), the aromas of white fruits and almonds being a perfect companion for the spicy scallops, as it has strength and depth. I have entertained many of my guests over the years with several vintages of this wine. 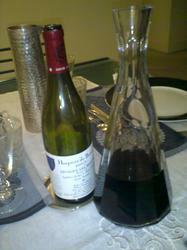 We currently drink the 2007, as the 2005 seems to have been all drunk, at least in Sydney! The 2005 is actually rounder, less tannic than the 2007. 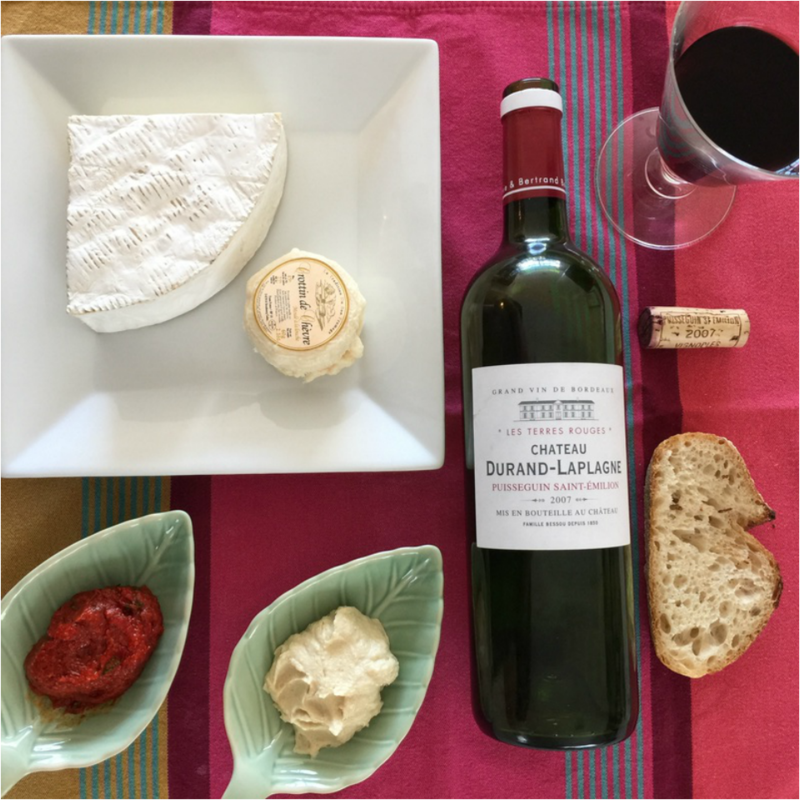 On the photo, ready to drink with a selection of goat cheese from Willowbrae Cheese, recently featured on MasterChef and loaf from the Moana Bakery in Rozelle: a treat!